Conrad Bali is one of the luxury resort hotel near Nusa Dua, Bali. Conrad is an international brand of luxury hotels and resorts owned and operated by Hilton Worldwide and named after company founder Conrad Hilton. 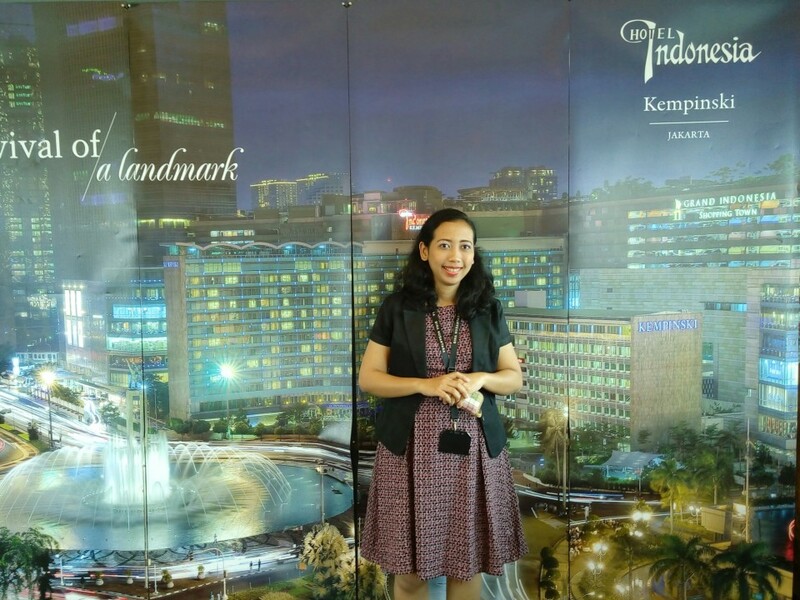 It was my first internship experience in Conrad Bali and I was glad that I was given the opportunity to have training at there. During the internship preparation, I informed to Ms. Dianka Wahyuningtyas as IWPP (Industrial Work Placement and Partnership Program) Coordinator that my desire position is in Sales and Marketing department. Despite Ms. Dianka recommended operational position such as Food and Beverage, Front Office or Housekeeping over back office position for first internship but I would like to challenge myself and discover my potential. 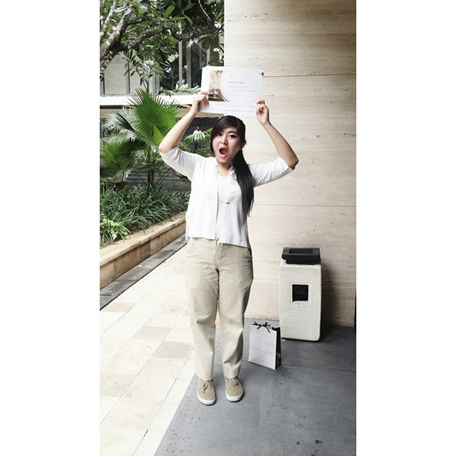 When I was informed that Conrad Bali offered me Reservation Sales position, I was really happy and excited! During my internship at Conrad Bali, I received six months training in Reservation Sales as Reservation Sales Agent trainee. The main job description of Reservation Sales is handling room reservations from personals (guests) and travel agencies or business partners. To be able to sell the rooms, Reservation Sales Agent need to communicate with the guests by making and answering phone calls, replying emails and fax, handling room reservations through travel agents and also processing rooms reservations through Central Reservation System (CRS) and Global Distribution System (GDS). 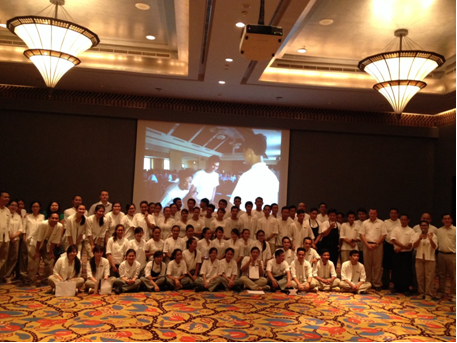 Conrad Bali is using OPERA Reservation System therefore all reservation job tasks are related to OPERA. On OPERA, Reservation Sales Agent can view, make, amend and cancel the room reservations, check the availability of rooms and rates, room status, occupancy percentage, room assignments, billing accounts, guests information and reservation details, make and follow-up traces and review guest and room history. You need to learn and familiarize yourself with OPERA in order to perform the job tasks effectively. The first thing that I learnt in Reservation Sales was to make the rooms reservations from travel agents through fax. Handling fax reservation is the first step for a Reservation Sales Agent since it is simpler and if the Reservation Sales Agent have understood the procedures, it will be a lot of easier to do other tasks as the Reservation Sales Agents have already familiar with the system and reservation procedures. Next, I learnt about how to follow-up traces. Traces are set on the OPERA with the purposes to follow-up the reservations and payments to guests or travel agents, get the arrival details and for communication within or other departments. Besides following-up traces daily, I also become more confidence in making/answer the phone call and making reservations by phone calls because I was also trained by seniors regarding the telephone etiquettes. Then, I also started to learn how to respond the emails and making the reservation from personals (guests) through phone calls and emails in third month. During the last three months, I was able to make and process room reservations through phone calls, emails and travel agents and also learn about CRS. Be familiar and understand the rate code and the benefits, check for the credit card details and amount to charge for deposit bookings are part of the CRS job descriptions. Upselling training is also provided by Reservation Sales Manager to improve Reservation Sales Agent skills. Besides training, I was also received the rare opportunity to enjoy stay trial with all Reservation Sales team members for 1 night in one of the premium suite in Conrad Bali which is Conrad Suite and dining benefits in hotel restaurant with the purposes to ensure the team members understand the benefits and be able to experience the luxury services so that it can help to build our confidence to offer and upsell premium room/suite to guests. During the Trainee Farewell Event, I was surprised to be awarded as the best trainee of Reservation Sales Department for my first internship! 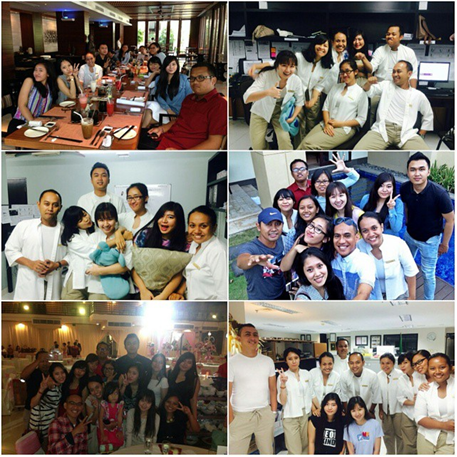 I had a memorable and fun moments with seniors and it was such an amazing and unforgettable experience in Conrad Bali. So, do not assume that Sales and Marketing Department is boring just because you always stay in office or facing the computer most of the time because you will actually find out that the working atmosphere in the office is another different feeling compare with operational. If you are not confident with your communication skills or English proficiency, remember practice makes perfect!